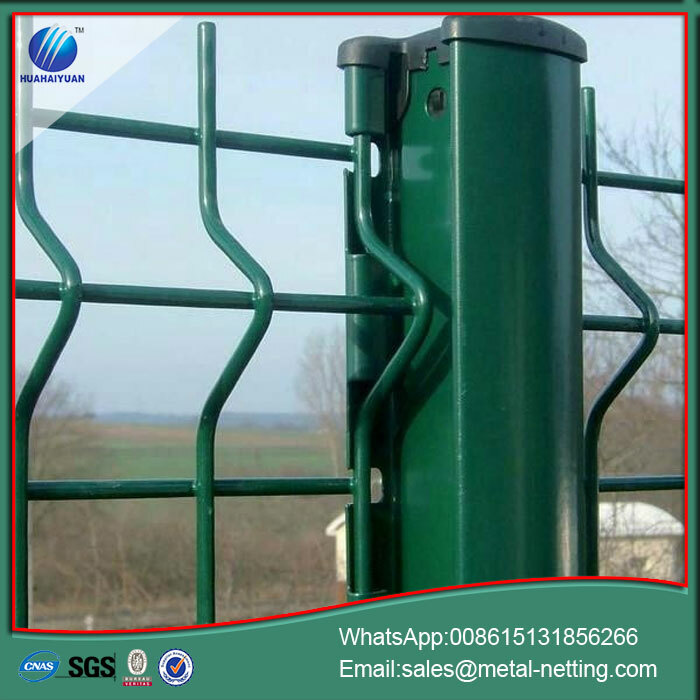 fence covers a vast range of mesh fencing products from agricultural and farm wire mesh and netting to commercial Welded Mesh Fencing and strong and versatile mesh Security Fencing. Based on the height of each mesh fence, panel options include 2, 3 or 4 curves, with height options ranging from 1030 to 2500mm, and a width range of 2500 to 3000mm. Wire diameter is traditionally 4 or 5 mm, and welded together at each intersection for a high strength performance. Each panel has vertical barbs of 20 to 30mm along the top edge. Mesh pattern options include 100 × 50mm, 150 × 70mm, or 200 × 50mm. If a customer needs different specifications, we can easily customize sizes to meet their unique needs. 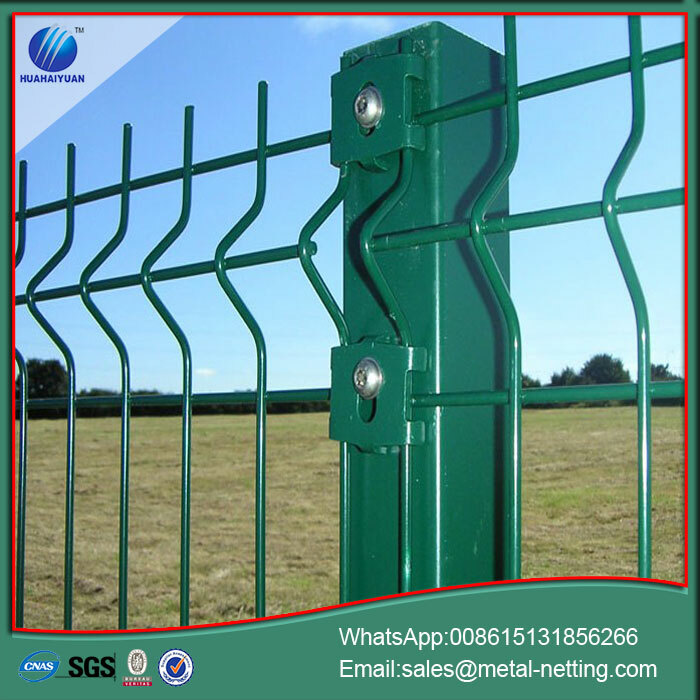 Each panel is attached in a lateral manner to the posts with a specialized attachment made out of metal, acting as a security clip. The square posts (50 × 50mm, or 60 × 60mm), are then covered with a plastic cap. Specifications can also be customized. Each welded mesh fence panel is galvanized before undergoing a PVC coating adhesion process to ensure compliance with GB/T18226-2000 standards. PVC coating colors generally include RAL6005 and RAL9003, however, we do offer other options upon request. 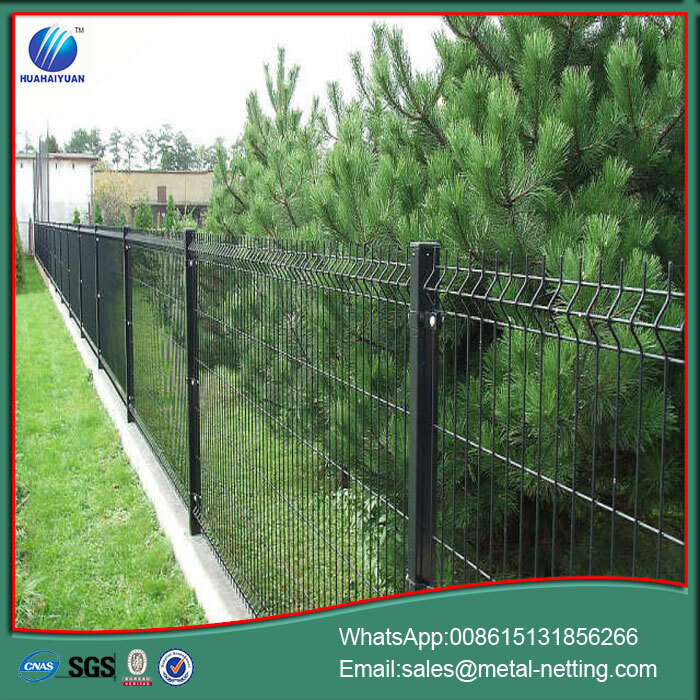 This particular type of fencing is widely used in gardens, factories, roads, highways, public buildings, parks, government buildings, ball courts, and industrial or commercial sectors. 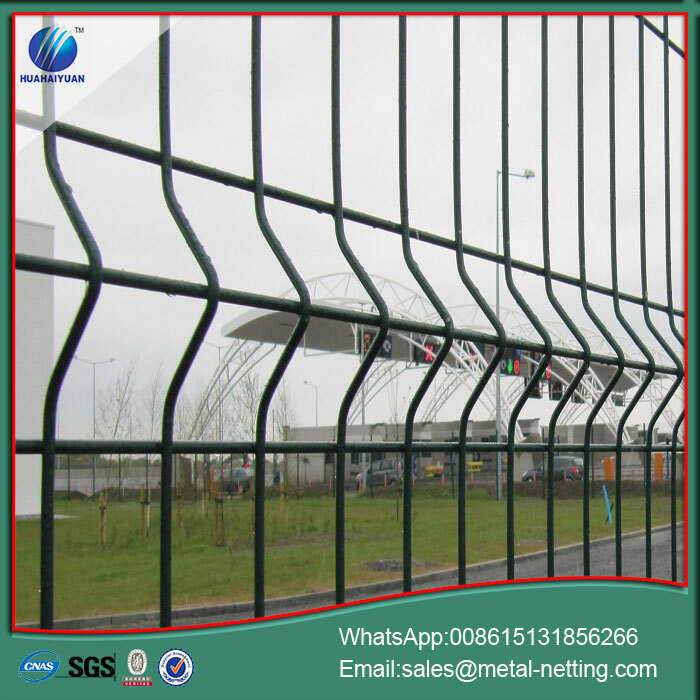 Looking for ideal 2D Welded Wire Fence Manufacturer & supplier ? We have a wide selection at great prices to help you get creative. 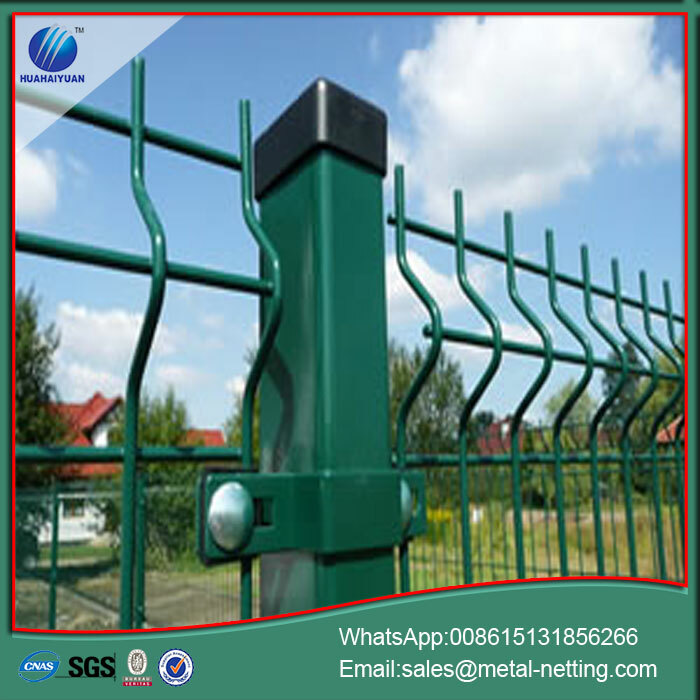 All the 2D Welded Mesh Fence are quality guaranteed. 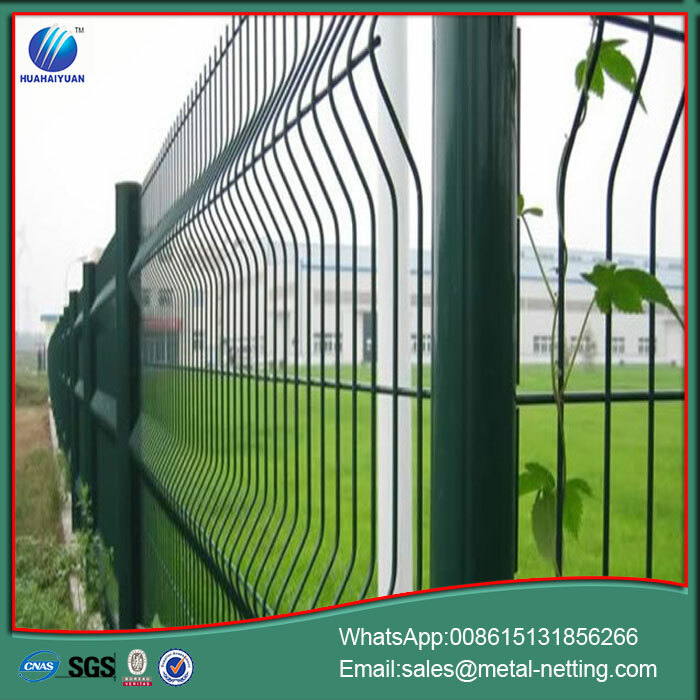 We are China Origin Factory of 2D Wire Mesh Fence. If you have any question, please feel free to contact us.